In some states homeschooling statutes require that homeschooled students must attend a church school or other private school in order to be within the law. Currently, my state doesn’t have any laws that actually address homeschooling. (Find a summary of the laws in your state here.) However, when we began homeschooling in 2008 the interpretation set forth by the state board of education stated that children were required to attend public school, church school/private school or be tutored by a certified teacher. Since neither my husband nor myself was certified to teach in our state and we didn’t want to hire a private teacher, we chose the church school option for our children’s education. In recent years our state has dropped the church school/cover school requirement, but I still remain with a cover school for the benefit of having an “authorized” signature on paperwork and a record that my children were enrolled in homeschool. If you live in an area with many cover schools you may find it difficult to decide which cover school to choose. In this article I’ll outline some basic questions to ask yourself and your family when considering which umbrella school is right for you. Before deciding on a cover school, make sure you know the homeschooling laws in your state. Temper your search for a cover school with your knowledge of those laws so that you don’t get caught in a rainstorm under the holey umbrella of a cover school that hasn’t done its legal homework. After confirming that a cover school is operating within your state’s legal requirements find out what that school’s fees are and what those fees will cover. Many schools charge a yearly enrollment fee along with a per-child admission fee. If your school requires a particular curriculum or participation in a co-op, there may be supply or materials fees for those, as well. Some cover schools offer wonderful opportunities for educational co-ops, field trips, and other perks that make a costlier admission or enrollment fee well worth the investment. Some cover schools require a statement of faith before enrollment is allowed. Others do not. Do you want a cover school that requires a statement of faith? Since many umbrella schools in lower-requirement states are church schools they may require a statement of faith, church membership, and/or even a personal religious testimony from parents before allowing them to join. Because our family feels that our spiritual beliefs can’t be defined in a one-size-fits-all statement of faith particular to any denomination, we use a church school that is of a religion we don’t follow. They were the only church school/cover school in our area that didn’t require a statement of faith. Do you want to participate in a mandatory teaching co-op? Some cover schools require participation in co-ops. Co-ops are a great way to share resources, but being required to participate in them may not be ideal for some families. In addition, some cover schools, especially those that operate more as a private school, may require certain courses to be taken from a co-op or other school-like setting. They may also require grades to be reported on those courses. If your family doesn’t want anyone else teaching your children, a cover school of this type might not be right for you. How much recording keeping and submitting of records are you comfortable with? Depending on the state in which you live you may already be required to keep and/or submit certain records of your children’s schooling. Sometimes, even in low-requirement states, cover schools require a great deal of record submission in addition to what is legally required. Another factor to consider is whether or not your cover school will produce student records or authorize forms such as transcripts, driver’s permit/license forms, and other proof forms that your child might need as he or she gets older. Records are part of the reason we remain with a cover school despite it not being a state requirement for us anymore. If you live in a state with no standardized testing requirements, how would you feel about enrolling in a cover school that requires testing? Some parents are thankful for this testing, which serves as an indicator that their child is progressing at a rate that matches the state’s standards. Other parents’ philosophy concerning testing is that standardized tests really mean very little and they don’t wish to “teach to the test”. Your opinions about testing should be carefully considered before joining a cover school that requires testing. Do you want your children to play sports with other private and church schools? Some cover schools offer organized sports for enrolled students. These cover schools may have more requirements overall, but if you want your child to be able to play sports in a state that doesn’t allow homeschoolers equal access to public school athletics this is a great way to accomplish it. 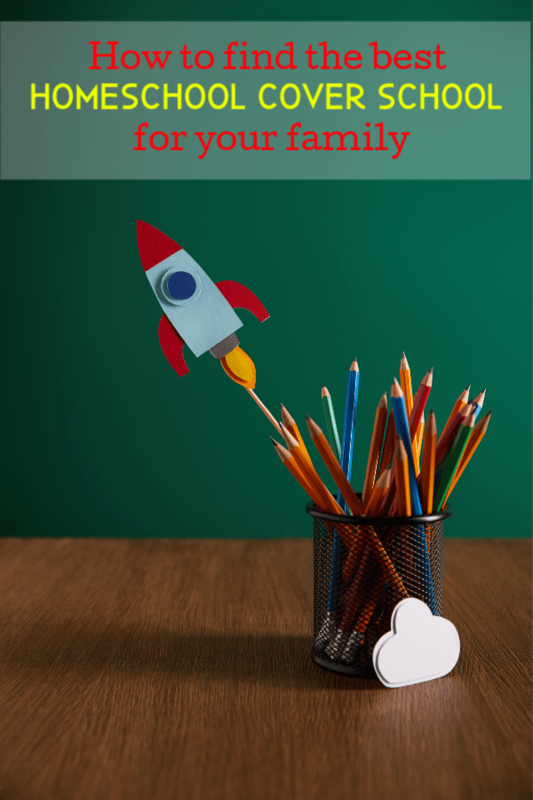 Do You Need Your Cover School for Meeting Other Homeschool Families? If you’re choosing a cover school that doesn’t require much or any participation with other enrolled families, you might want to consider whether you’d enjoy spending time with other families in your cover school. If so, choosing a cover school that is nearby is a good idea. If not, then you may find yourself with a wider choice of schools from all over your state. 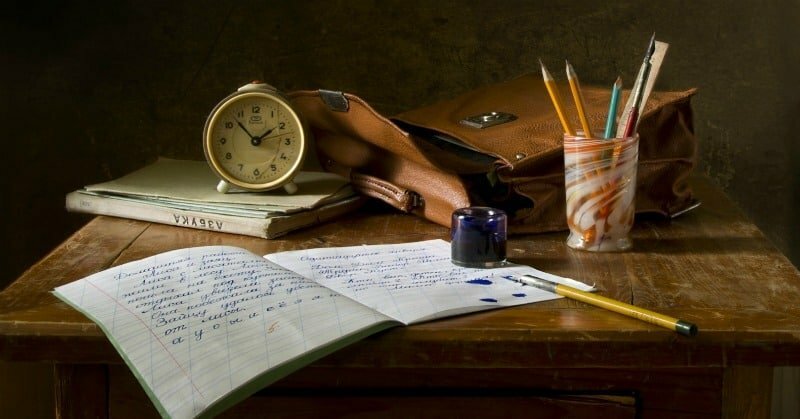 Once you have found a cover school that works for your family don’t feel as if you’re locked in to your choice until your children are no longer homeschooling. It is perfectly okay to reevaluate your decision on a yearly basis and see what other cover schools have to offer that may be more fitting for your changing needs. Remember that one of the benefits of home schooling is flexibility and living a lifestyle that meets the needs, as well as, the wants of your family. Your choice of a cover school should reflect that advantage. I Am Homeschooling provides a list of cover schools in each state.